The cartoons at the link below should be required viewing (and understanding!) in school, especially any history or economics class. 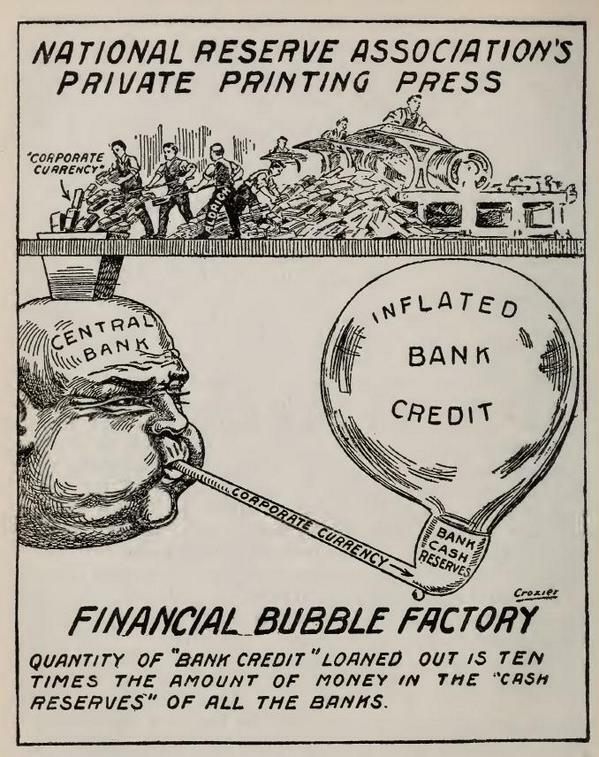 These cartoons are all from 100 years ago or more. They clearly describe the cementing into law–pending at the time– of the rigged banking, currency, and stock markets that financially enslave almost everyone on the planet to the endless hunger for humongo-profits of the few. They show that at least a some people understood the game then. Sadly, few understand the game even now. How do we get this understanding to everyone so that we can end this vicious travesty? How do we bring in the logic and compassion that clearly show the primitive and self-defeating nature of systematically-enshrined greed? 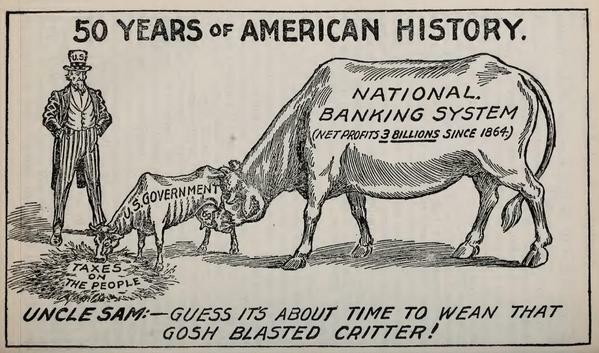 In the cartoons, the National Reserve Association is what we know today as the Federal Reserve. Sen. Nelson Aldrich was the point man in Washington, DC for passing the bill that created the Fed. 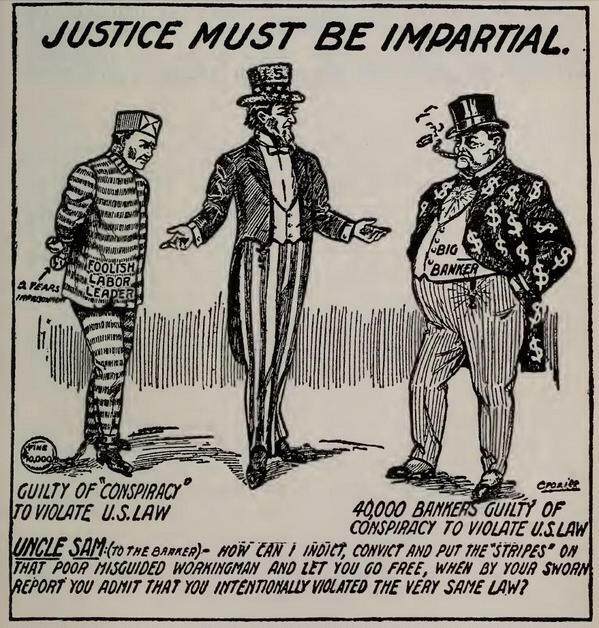 One cartoon shows Uncle Sam resisting signing that bill. But ultimately, Pres. Woodrow Wilson did sign that bill, much to his own regret and dismay a few years after he signed it. This entry was posted in Financial System, Transition and tagged banksters, central banks, Entrenched elites, fiat currency, financial system disintegration, fractional reserve, Government guarantees, money printing, quantitative easing, stock market by Thundering Heard. Bookmark the permalink.